After snapping a three-race losing streak in style by taking his home Grand Prix for only the second time, Lewis Hamilton’s odds to win the 2014 Formula One championship tumbled from 6/5 to 4/7, in spite of his travails in qualifying and Mercedes teammate Nico Rosberg’s four-point lead. 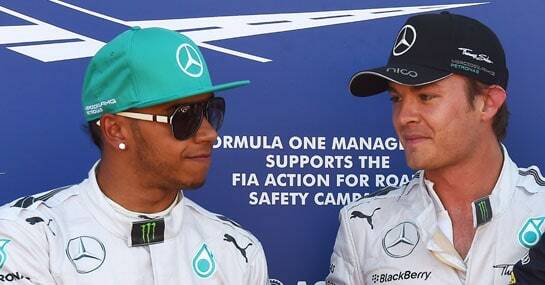 Rosberg took pole at Silverstone, as he had in two of the previous three championship rounds, and although Hamilton thoroughly impressed when moving from sixth to second by the fourth lap, a familiar problem presented itself up ahead. Since the end of May, Stevenage’s finest had found himself one step lower on the podium than his German teammate in two of three races, with Rosberg taking the laurels from pole in Monaco before keeping Hamilton behind him when F1 returned to Austria last time out. A third Rosberg win in four races, and fourth for the campaign, looked the likeliest outcome before the gearbox in his Mercedes went, causing the 29-year-old to cede first-place and then retire during the 29th lap. Rosberg now heads to his home Grand Prix as 5/4 second-favourite to win a first drivers’ championship, having been 8/13 before Silverstone, and an eye-catching 15/8 to cross the line first in Hockenheim, behind 4/7 jolly Hamilton. Hamilton has an enviable record in Germany and is on trend to triumph, having won in 2008 and 2011, but after being out-qualified by his teammate in each of the last four races, he cannot be tipped with any confidence to topple Rosberg in his own backyard. Of the other drivers who will line up in Baden-Wurttemberg, three-time German Grand Prix winner Fernando Alonso has to be worth a dabble at colossal 40/1 odds on a circuit the Spaniard has bossed in recent years. Three of the last five German Grand Prix’s staged at Hockenheim have been won by the two-time world champion, and with Mercedes backers in need of a side bet due to Hamilton and Rosberg’s tight odds and seeming unreliability, Alonso rates the best of the rest at a wild price.